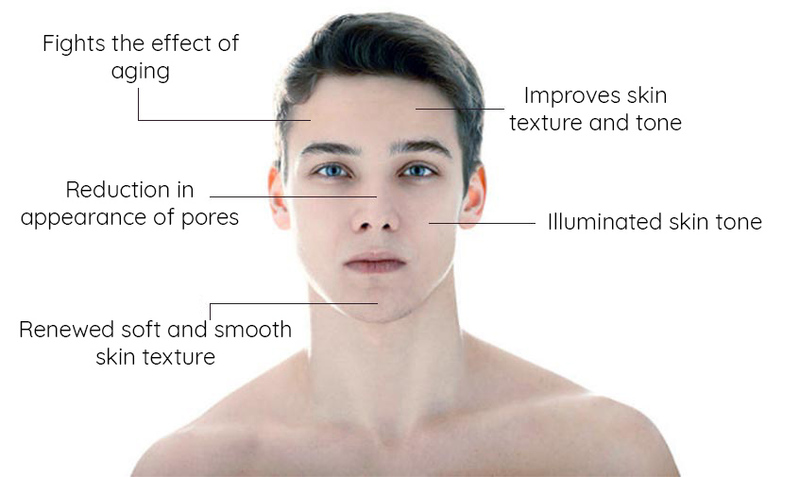 Ambrosia Medical offers a range of treatments tailored specifically to our male clients. 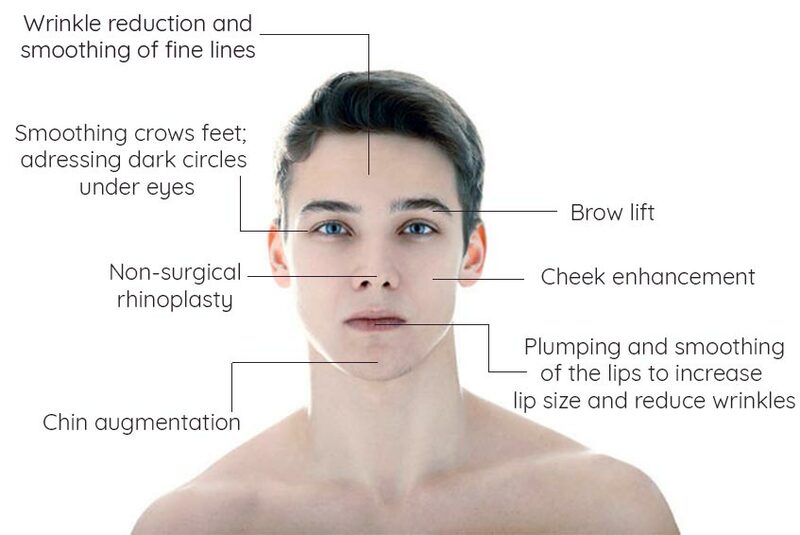 See our full menu of face and skin rejuvenation procedures below. Restoring a more youthful complexion by the removal of wrinkles and fine lines. Injections can be used lightly as a preventative against wrinkles or to soften existing ones. 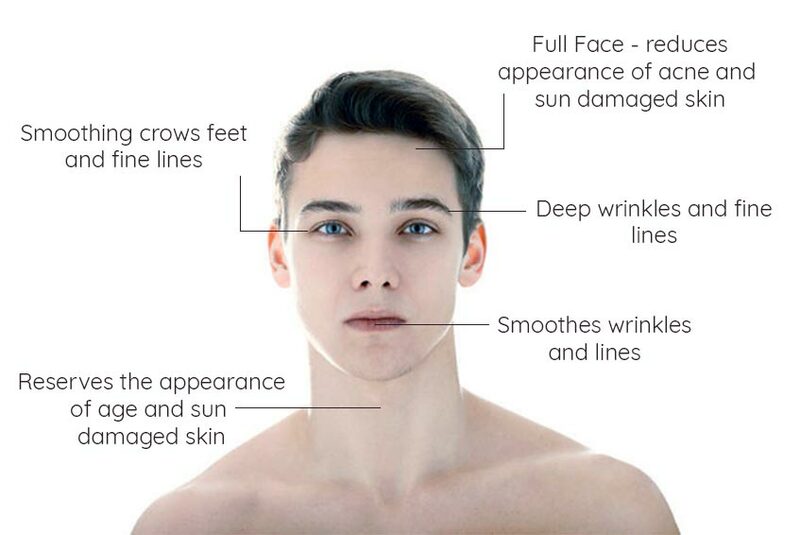 Anti-wrinkle injections contain a muscle-relaxing agent that, when injected into the treated area, relaxes muscles that have developed lines and wrinkles over time due to repetitive movement (Think of frown lines or crow’s feet). Around 30 minutes, but it depends on the number of areas being treated. You will start to see results within 2 days, and optimal results will be reached at approximately 7 days. Effects will last 3-4 months. Restoring a youthful complexion, and enhancing volume and shape to your face. Dermal fillers are tiny injections that reduce the appearance of fine lines, sagging and signs of age by filling in areas under the skin to promote volume, “plumping” and smoothing. The key ingredient is a sugar gel that is completely safe. In fact, it occurs naturally in your body but is processed in smaller increments with age and, along with the natural tug of gravity, leads to facial lines and wrinkles. This gel contained in dermal fillers actually encourages the production of collagen in the skin leading to a more youthful appearance. Usually from 30 to 60 minutes, depending on the number of areas being treated. Results are visible instantly and the effect typically lasts for between 6 and 12 months. Restore your skin’s youthful appearance and address skin imperfections. It is used to reverse the appearance of aged or sun-damaged skin, smooth wrinkles and fine lines, and shrinking acne scars. DOT Therapy uses hundreds of tiny pillars of laser energy to penetrate the skin on pre-set sections of your skin, meaning you avoid having to remove the entire layer of skin and, as a result, allows the skin a much faster recovery rate than alternative laser resurfacing procedures. The DOT procedure is customised to your skin by your practitioner with laser settings adjusted to tailor treatments and gain the best results for you. Between 30 minutes to an hour, depending on the number of areas being treated. The area will appear red initially. You can wear make-up 4 days after treatment and you will start to see noticeable improvement in skin texture within 1 week. Collagen stimulation continues from 3-12 months. Anti-ageing skin treatment that evens skin tone, reduces pore size and enhances elasticity in the screen skin for a younger, fresher, more radiant appearance. Clear + Brilliant is a safe, non-surgical and non-invasive laser treatment.It’s a simple procedure in which the Clear + Brilliant handpiece is gently guided over the forehead, cheeks, chin and nose, creating microscopic treatment zones in the upper layers of the skin, triggering the replacement of damaged skin with healthy, younger skin. You’ll see noticeable differences in the appearance of your skin after 4-5 days. 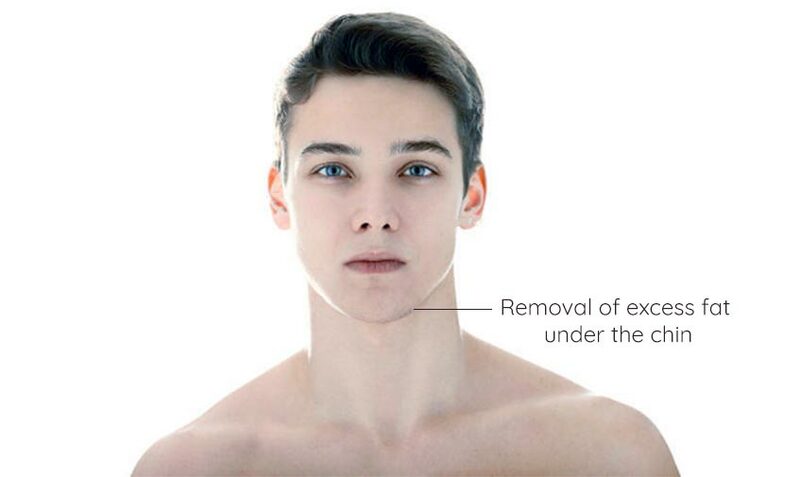 This is a non-surgical treatment to address fat underneath the chin. 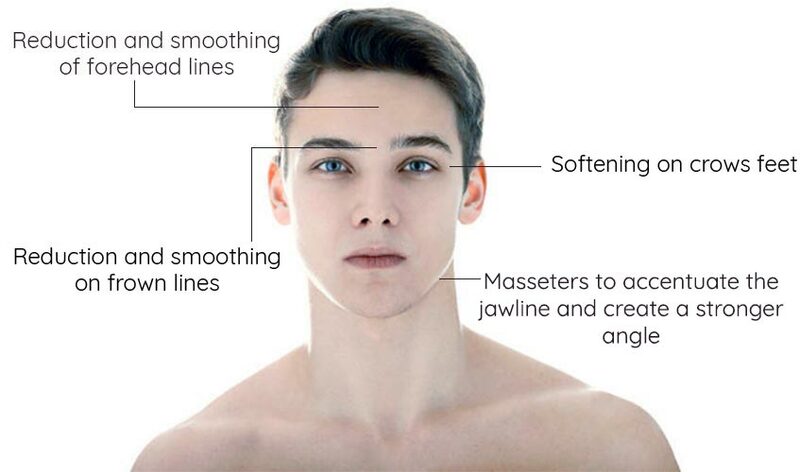 Fullness’ under the chin or a ‘Double chin is a common problem in men and women. This can naturally develop as we age, simply part of your genetic makeup- and remains no matter how much you diet and exercise – or can be a result of weight gain. This can, in turn, make you look older and heavier than you actually are.